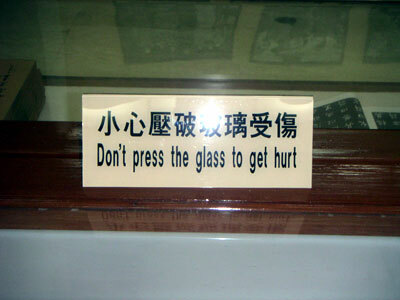 The Chinglish Files by olr: Taiwan does it, too. For what other purpose then, I wonder. Found in the 蒋介石 博物馆 Chiang Kai-shek (Jiang Jieshi) Museum in 台北 Taibei. 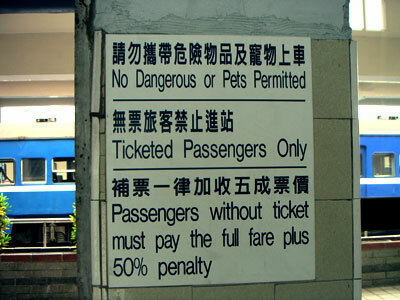 Found at a train station "somewhere in Taiwan", says Alex Lange. Thanks, Alex! What's a "dangerous" by the way?